Designer journal with fine cut beige cotton papers. Hand sewn with Coptic binding. 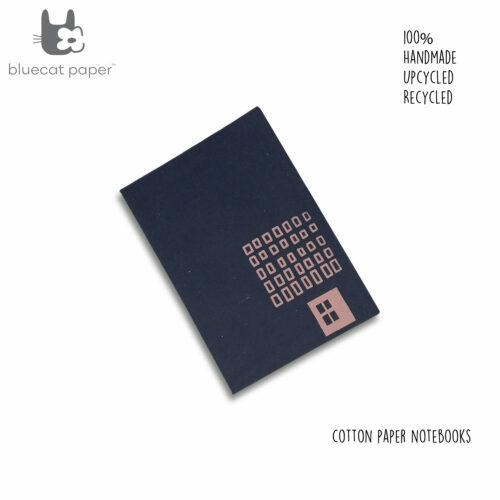 A wraparound blue paper jacket, with an attractive binding option. 160 pages of beige fine cut papers. 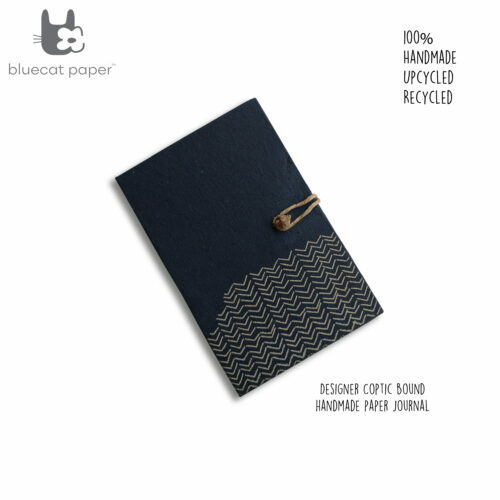 Coptic bind journal with blue paper jacket, A5 size, light grey lines print, beige fine cut papers. 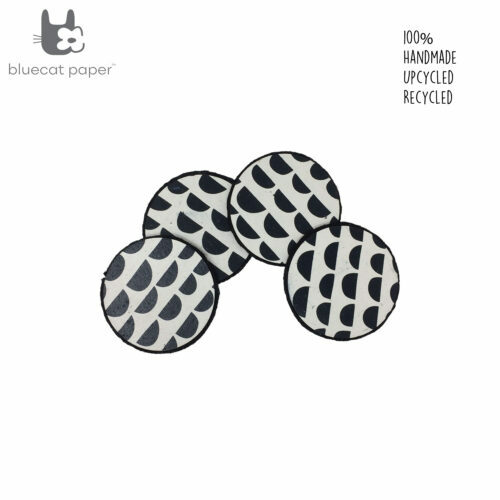 These beige cotton papers are fine cut. Blue, light grey lines print.